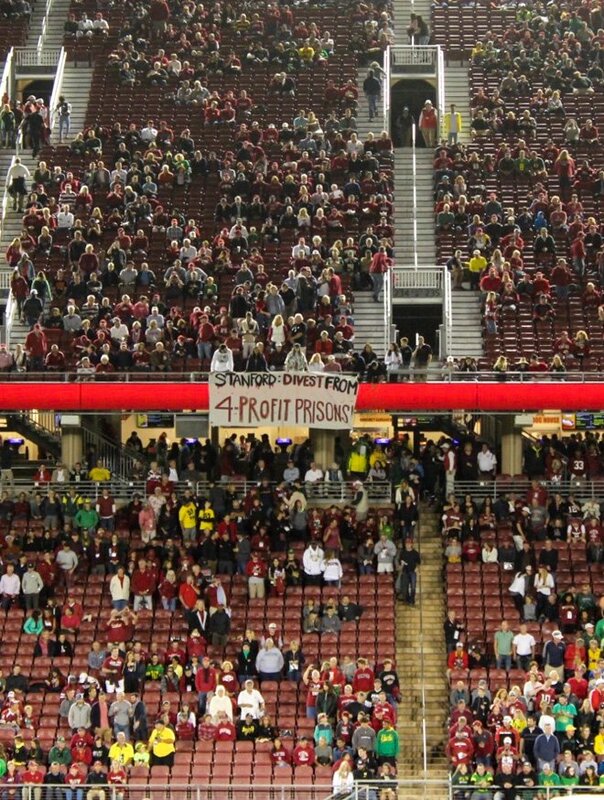 At Saturday's homecoming football game, student activists unfurled a banner urging Stanford's divestment from companies associated with private prisons (Courtesy of Michael Ocon). At Saturday’s homecoming football game, student activists unfurled a banner urging Stanford’s divestment from companies associated with private prisons (Courtesy of Michael Ocon). The Board of Trustees announced its decision on Oct. 10, in response to a proposal submitted by Stanford Prison Divest in September 2016. The group objected to Stanford’s involvement with companies that it says profit from mass incarceration, which disproportionately affects minority groups.